The Child of Lov "Fly"
Back when funkster the Child of Lov announced his self-titled debut, the one-man band teased new tune "Fly" in a quickie trailer. Now, the artist is previewing the soulful song in full. The track gets by on a '90s-era pre-programmed drum beats, funeral-friendly harpsichord and an ominously booming brass section, while the Child of Lov delivers a gospel-flecked bed of harmonies flying out of the river Georgia and up into the sky. You can sample the whole of the moody piece of music down below. 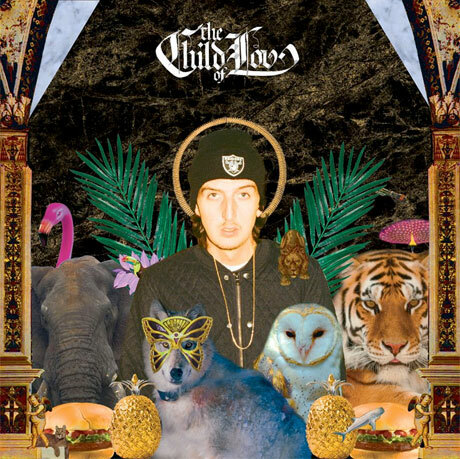 As previously reported, The Child of Lov also features guest spots from the likes of Damon Albarn and DOOM, and arrives May 6 through Domino offshoot Double Six Records.